Two sisters take off on a wild road trip in this poignant tale for fans of Counting by 7s and Fish in a Tree After Mama Lacy's death, Fella was forced to move in with her grandmother, Mrs. Madison. The move brought Fella all sorts of comforts she wasn't used to at home, but it also meant saying goodbye to her sister Zoey (a.k.a. Zany) and her other mother, Mama Shannon. Though Mama Shannon fought hard to keep Fella, it was no use. The marriage act is still a few years away and the courts thought Fella would be better off with a blood relation. Already heartbroken, Fella soon finds herself alone in Mrs. Madison's house, grieving both the death of her mother and the loss of her entire family.? ???? Then one night, Zany shows up at Mrs. Madison's house determined to fulfill Mama Lacy's dying wish: to have her ashes spread over the lawn of the last place they were all happy as a family. Of course, this means stealing Mama Lacy's ashes and driving hundreds of miles in the middle of night to Asheville, North Carolina. Their adventure takes one disastrous turn after another, but their impulsive journey helps them rediscover the bonds that truly make them sisters. 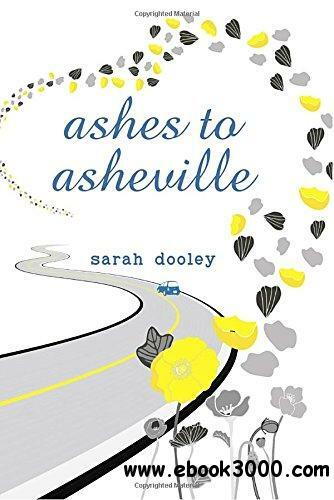 A heartrending story of family torn apart and put back together again, Ashes to Asheville is an important, timely tale.